Click here to view the member's full district 73 map. Click here to view the member's interactive district 73 map. 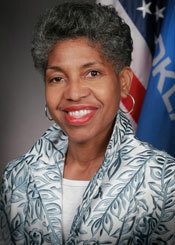 Regina Goodwin is a native of Tulsa Oklahoma, where she grew up on historic Greenwood St. Regina graduated from Booker T. Washington High School in 1980 and received her Bachelor of Fine Arts Degree at the University of Kansas in 1984; she has completed Masters Coursework at Columbia College in Chicago Illinois. Regina resides in Tulsa where she works as an artist, creating greeting cards and conducting animation workshops. Regina is a faithful member of the North Peoria Church of Christ. Regina Goodwin first heard, “Service is the rent we pay for our room and board on earth”, from her grandparents, Jeanne and Ed Goodwin Sr. The message would be instilled by parents Alquita and Ed Goodwin Jr. Regina’s genuine service to the community springs from deep roots in Tulsa, Ok. In an effort to affect greater social justice, Regina is active in her community, volunteering in the areas of education, economic development, city and county parks, as well as community policing. Out of the past 100 years, the YWCA named Regina Goodwin “1 of 100 Women of Moxie”. Regina’s successful community involvement led to her being twice selected to attend the Ford Foundation Symposium focusing on grass roots efforts in New York City. 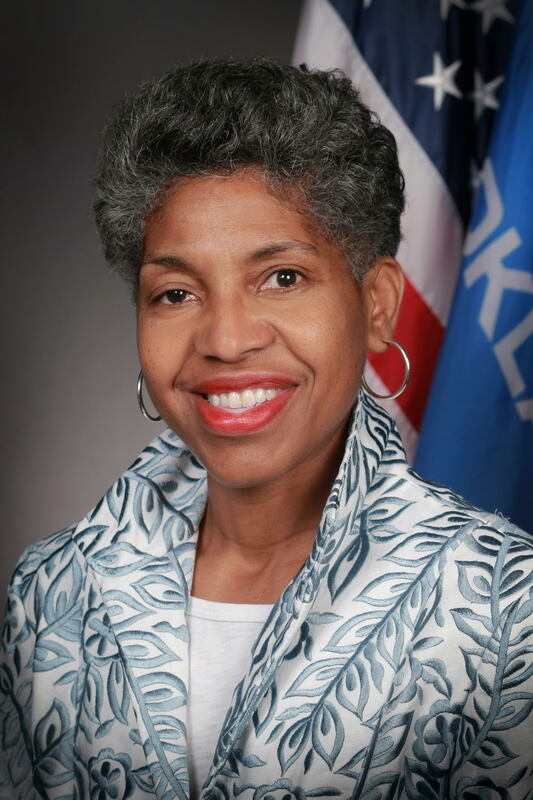 Regina was sworn into office as State Representative for House District 73 on July 21, 2015.